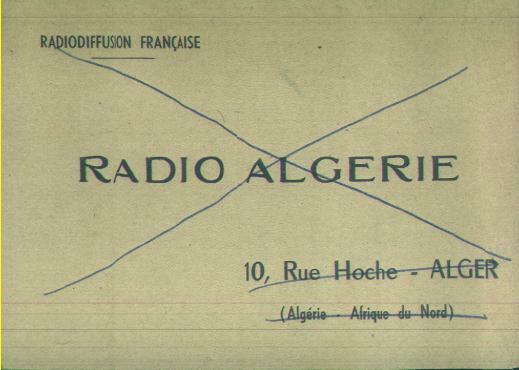 QSL card from Radio Algerie, Algiers, on 6.160 MHz for a report on 3 January 1956. This station was a very difficult catch from the U.S. west coast. At the time Algeria was still department of France. 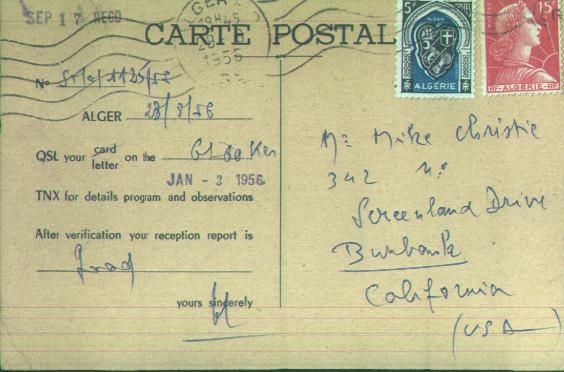 This QSL card is from the collection of Mike Christie, K4MZ, who lived in Crawfordville, FL.